Every maker has a story. Be a part of Baby Props By Connie's story by placing an order, leaving a review, and seeing your review appear here. 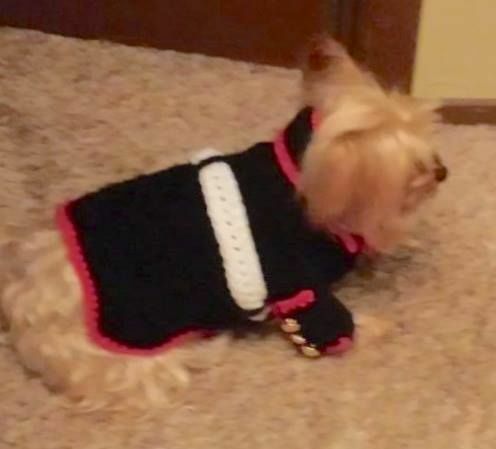 This is for a dog with a chest size 9"-17"
Usmc dog sweater, is beyond cute. 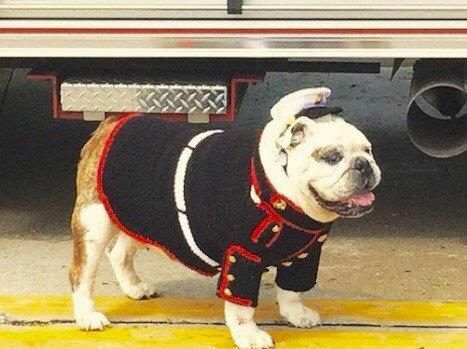 This little Usmc bulldog uniform, was made originally for a bulldog. 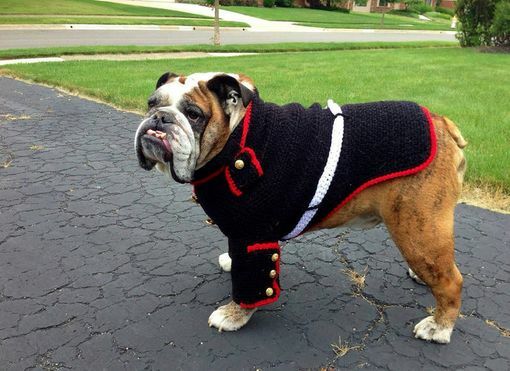 I can make yours any Marine Corps pet you like. 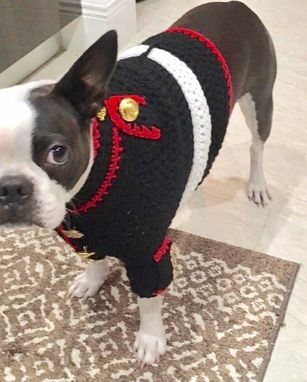 Your dog will be the hit of the parade in his unique Marine dog sweater. 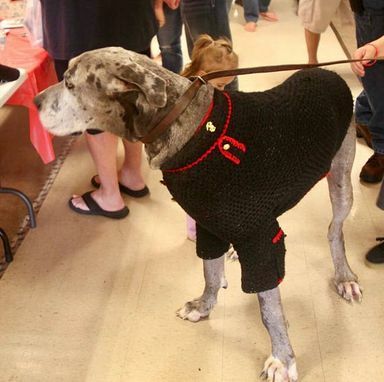 My dog sweater, is perfect for Marine weddings, parades, fundraisers and contests.